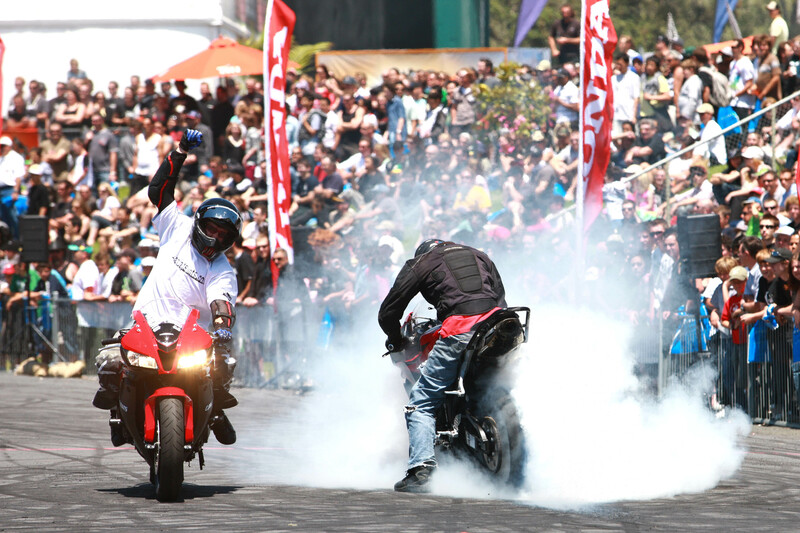 Bender, JB & Sammo from Team CUNNINGSTUNTS performed at the Big Boys Toys show in New Zealand. 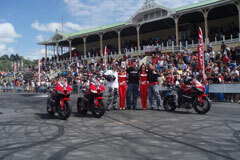 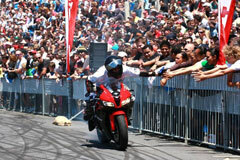 The Team was proudly sponsored by Honda NZ for the shows riding three brand new 2008 Honda CBR600RR motorcycles. The event was held on 14-16 November, 2008 at ASB Showgrounds, Greenlane, Auckland, New Zealand and featured something for everyone. With other 55,000 spectators, the boys from Honda Team CUNNINGSTUNTS put on 13 wildly entertaining shows in front of a crowd that went absolutely berserk loving every minute of it. 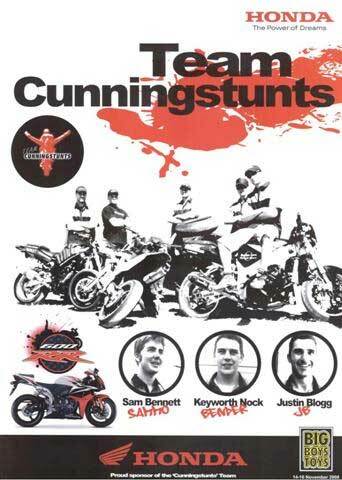 The team was also featured on the popular morning NZ TV show 'Breakfast'. 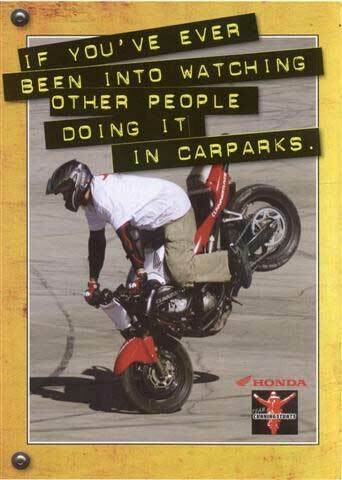 See Media. 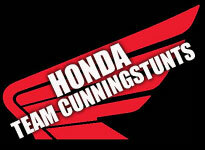 HONDA Team CUNNINGSTUNTS blew 17 brand new Michelin tyres and the crowd went crazy when each and every one of them popped. 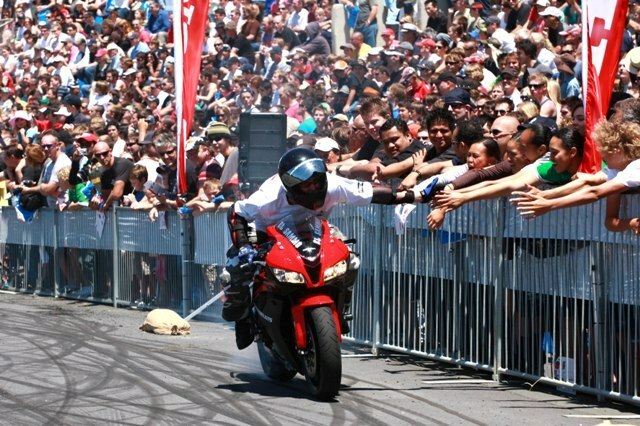 JB burned that much rubber, it managed to set his bike on fire twice! No damage was done and the show went on.